Great drug and easy to use!! I will never use another medication for fleas. 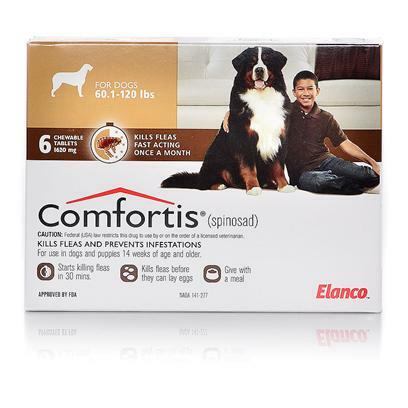 Tried everything available for fleas before finding comfortis. Works but Program Does too and is cheaper! Comfortis = comfort at last! Comfortis is the ONLY way to go! COMFORTIS IS THE ONLY ONE FOR US. This is the ONLY product i use now! !